Opioid addiction in the US began with the unfortunate over prescription of highly addictive pain medications, starting in the 1990’s (1). In the US alone, opioid addiction is the cause of hundreds of deaths per day. Opiates are so addictive, that almost 75% of patients prescribed opiates for chronic pain misuse them. Around 10% develop an addiction disorder. 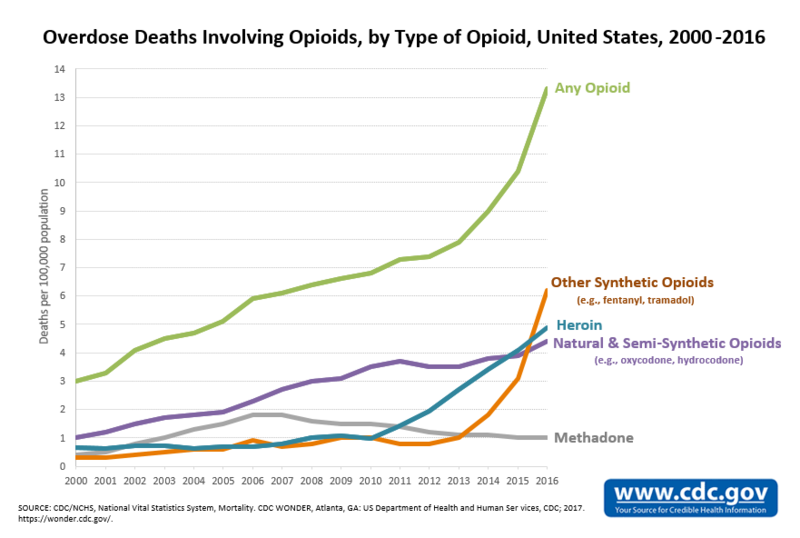 5% of patients who used opiates for chronic pain, eventually turn to heroin and 1 in 4 heroin addicts started off with prescription opiates (3). This type of addiction is more prevalent in big cities and the midwest, but can be found throughout all walks of life around the entire United States (2). The opioid crisis leaves many people still in need of pain relief on a daily basis. Over ten million people in the United States, experience severe pain. The primary treatment approach in our current medical system is to prescribe pain medications, especially opiates for chronic and severe pain (3). So how can acupuncture help? Acupuncture has been proven in studies throughout the world, in Universities and hospitals in the United States, and even from within the US Military (17), to be an effective pain management therapy. In meta analysis of 13 randomly controlled studies, acupuncture was found to be more affective than analgesic injections (4) . The Mayo clinic, renowned for scientific innovation in medicine, recommends acupuncture for pain (5). Researches at Stanford University concluded that acupuncture reduces the need for opiates after surgery (6). In multiple studies, acupuncture has been found to be more effective than drugs in pain management (18, 19, 20). Overall, acupuncture is an effective, non-addictive method of pain relief which doesn’t interact with other medications or treatment modalities. It is useful as a primary therapy or combined with other modalities as an adjunct approach to pain relief. In clinical studies, acupuncture has been shown effective in reducing methamphetamine addiction (7, 8), cocaine addiction (9), smoking addiction (10) and, especially relevant to this article, opioid addiction (11, 13). Additionally, in meta analysis review of studies, acupuncture provided significant improvement in the mental health of addicts receiving acupuncture, concluding that acupuncture can reduce the psychological affects of anxiety and depression associated with opiate addiction (12). The community acupuncture model was specifically studied by the Icahn School of Medicine, which found that community acupuncture not only provided “reduced pain levels, but also significantly reduced pain interference and depression levels.” This same study showed that the participants had a significant drop in pain medication consumption. Their pain relief from community acupuncture treatments lasted for at least 3 months after they stopped receiving acupuncture (14). Most studies on pain relief and addiction recovery are designed with the patient receiving multiple treatments per week, for a number of weeks in a row. One of the many benefits of community acupuncture clinics, such as the nonprofit clinic Lakewood Community Acupuncture, is that the low cost model allows patients to receive multiple treatments per week without breaking the bank. The community model is designed for this type of success, affordability and availability. The NADA protocol (15) is being utilized in more than 250 hospitals in the US and UK as an effective protocol for addiction recovery. This method of addiction recovery is approved by the World Health Organization (WHO) and the National Institute of Health (NIH) (3). The NADA protocol is an auricular acupuncture technique involving 5 needles in each ear, which are retained for approximately 30 minutes. Numerous studies done from the last 45 years have proven that the NADA protocol is one of the best methods to approach addiction recovery available today (16). Opioid addiction is rampant in the US and causes tens of thousands of deaths each year. 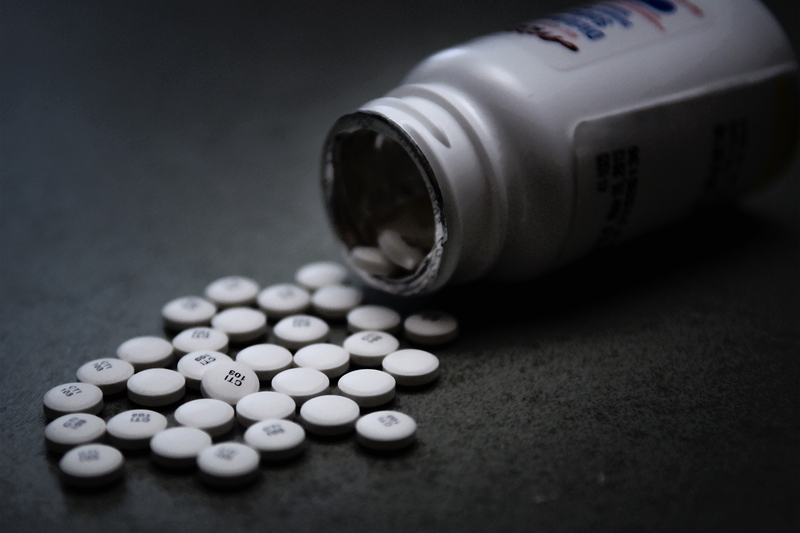 For the second time in 3 years, the life expectancy in the U.S. has dropped, and the CDC revealed that the increase in death from opioid addiction is a leading factor (21). The need for both a non-addictive pain management strategy and safe methods of addiction recovery cannot be understated. Acupuncture has the unique benefit of being able to both help with pain management and addiction recovery. If you or a loved one are ready to start your road to recovery, we recommend contacting your local acupuncturist and asking them if they have an addiction recovery program to meet your needs. In addition to consistent acupuncture treatment, we recommend group and cognitive therapy, as well as continuing with any successful modalities that have worked in the past. Learn about LCA’s 10 Treatment Addiction Recovery Package, utilizing the NADA protocol by clicking here. About the Author: Jamie Holland is a licensed acupuncturist and applied clinical nutritionist. He is the cofounder of Lakewood Community Acupuncture, the first non-profit community acupuncture clinic in Colorado. He is committed to offering affordable holistic healthcare and is always striving to embody the healthy lifestyle he encourages in his patients by being active in meditation and community, healthy eating, organic gardening and enjoying the outdoors with his wife, Kate, and their dogs, Luna and Zoey.